One of the important aspects for mummy-to-be is to connect with the new life that is growing within her. Receiving a massage is a beautiful opportunity for finding that peaceful and relaxing space to bond with the unborn baby. Additionally a massage may help to relax mum's tense muscles, enhance the flow of blood and lymph, reduce pregnancy-typical fluid retention in the legs, soothe nerves and reduce anxiety. Preparing the body for the birth process, assisting to acknowledge and honor her changing body, as well as nourishing her self-esteem are some of the many benefits massage treatments can provide. 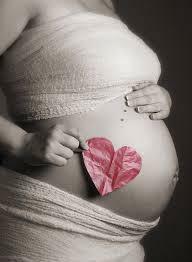 As a massage therapist it is a privilege to work with a pregnant woman and be part of this wonderment of life. Massage fits greatly into the pregnancy wellness regime and can be a highly beneficial treatment for both, mother and the unborn child if performed with special consideration. Baby's and mum's well-being and safety are our foremost priority and will be met with extra care and duty. In order to eliminate any unnecessary risks we recommend to gain clearance for massage from your GP, midwife or specialist prior to the sessions.